There is a broad spectrum of lung diseases, which is made up of any disease that causes the lungs to not function as they should. 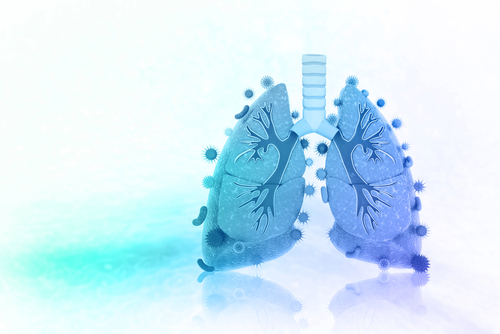 They affect different parts of the respiratory system, including the airways, lung tissue and blood circulation. MORE: How does COPD affect the body? Asthma affects the airways that bring air into the lungs. If you have asthma, those airways are consistently inflamed. 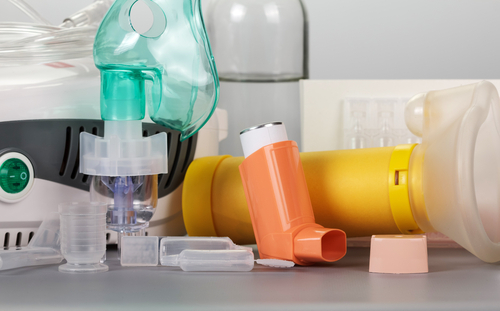 An asthma attack occurs when something causes the lungs to spasm. This spasm will result in shortness of breath, coughing, wheezing and chest tightness. There are many types of asthma, and each one is named after what triggers it. For example, if exercise triggers your asthma, then you have exercise-induced bronchoconstriction (EIB), or exercise-induced asthma (EIA). While asthma cannot be cured, it can be controlled with proper treatment. Most cases of bronchitis occur when the tubes (bronchi) that branch off from your windpipe get infected and swell up. This infection makes your body produce more mucus than usual, which it then tries to expel by coughing. There are two different types of bronchitis: acute bronchitis, which is temporary and usually occurs after a flu or a cold; and chronic bronchitis, which is far more serious. It will cause months of coughing, and usually occurs two years in a row. Most of the time, bronchitis goes away on its own within about three weeks. If it doesn’t, it’s recommended you see a doctor so they can prescribe you antibiotics. MORE: The risk factors for COPD. Emphysema occurs when the lining of the alveoli (tiny air sacs in your lungs) become damaged with no hope of recovery. The damage will also continuously worsen. As the lining deteriorates, air pockets will form in the lungs. Air will fill that lining and force the lungs to grow, making it much harder to breathe. This disease has been directly linked to noxious fumes, mainly the ones produced by cigarette smoke. Emphysema, just like chronic bronchitis, is one of the two main types of chronic obstructive pulmonary disease (COPD). COPD is the term used for long-lasting lung conditions, including emphysema and chronic bronchitis. Its symptoms include difficulty breathing and an ongoing and long-term cough with phlegm. It usually takes a bit longer for patients to start showing symptoms, so many are diagnosed in middle age or later. It’s proven that COPD is directly linked to smoking. There’s no way for the lungs to return to their pre-smoking state, but quitting can stop the advancement of the disease. CF affects the cells that make up our sweat, mucus and other fluids. In people who don’t have CF, these fluids are diluted and slick. However, in those with CF, these fluids are dense and more similar to a paste. These thick fluids prevent various systems from working properly throughout the body. That fluid (in this case, mucus) accumulates in the airways, making it harder to breathe. It may also cause infections, cysts and fibrosis (which is how CF got its name). Tagged asthma, bronchitis, CF, COPD, cystic fibrosis, emphysema, Lung Disease.